Classic Baja Lock 15X8 with 5X4.50 Bolt Pattern 3.625 Back Space Matte Black. 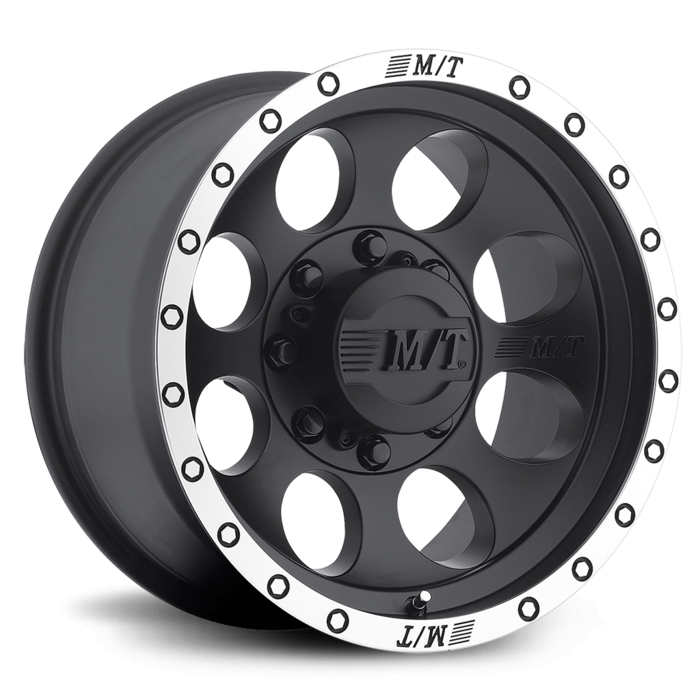 The Mickey Thompson Classic Baja Lock wheel features the classic 8-hole design in a matte black finish with a protective clear coat. The embossed M/T logo is assurance of quality, strength and dependability. The Classic Baja Lock is available in sizes 15x8 through 17x9.